Last year, the internet briefly caught fire when pictures of a weird, elevated bus that glides above traffic began circulating around. 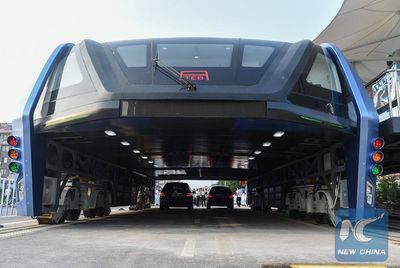 The so-called “straddling bus” was held up as a solution to China’s notorious traffic problems, but all anyone wanted to talk about was how it looked like the bus was eating cars, or how insane anyone would have to be to actually drive underneath. But as the months ticked by, the Transit Elevated Bus (as it was known) failed to stand up to much scrutiny. Jalopnik noticed how shabby the thing looked on closer inspection. And when CNN sent its reporters to investigate further, all they discovered was a “hulking eyesore” that was causing traffic rather than shuttling passengers above it. Now it seems like the local authorities have finally caught on. According to Quartz, police in Beijing are investigating whether the company behind TEB was illegally raising money through an online portal. This news comes a week after the government announced that it planned to remove the 300-meter track the bus was supposed to run on by the end of the month. 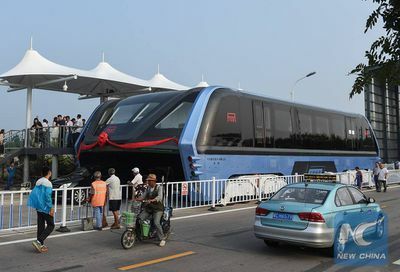 Citing sources on the microblogging site Weibo, Quartz reports that Bai Zhiming, chief executive of TEB Technology Development, a Beijing-based company that purchased the patent for the elevated bus, was among 30 people detained by police in connection to the alleged scheme. Days before his arrest, Bai told Chinese media he planned to move the bus to another city. The bus was first unveiled in 2010, and then again last year at Beijing’s 19th International High-Tech Expo. At the time, the designer of the bus said prototypes were being constructed, and that five cities had signed contracts with his company for pilot projects. The first test run was to be held in the northeastern port city of Qinghuangdao. To host a test drive of the prototype bus, the city built special tracks for the giant electric-powered vehicle, which is 72 feet long and 16 feet high. Meanwhile, TEB Technology promised to restore the 330-yard-long test site to its original state by the end of last August, according to China’s official state news agency Xinhua. That never happened. And now those tracks will be gone by the end of this August. The elevated bus (which is really a train when you think about it) appears to be a victim of China’s fast-growing, unregulated, and occasionally sketchy peer-to-peer lending sector. In other words, it wasn’t because the design was too weird, or the technology was unsound — although it stands to reason this thing could have exploded right out of the gate. It’s good that China is searching for outside-the-box ideas to tackle its notorious traffic congestion and pollution. Here in the US we’re too addicted to our cars to put any real thought into ways to expand and innovate on public transportation. Just last month, Chinese rail transit company CRRC unveiled something it calls the Autonomous Rail Rapid Transit, a cross between a train and a bus or tram. The ART runs on roads like a bus, but only along designated paths like a tram. It follows a pair of white lines painted on the street, rather than a track, which could be a huge cost saver in the world of streetcars. CRRC is a state-owned entity and the second largest construction and engineering company in the world. 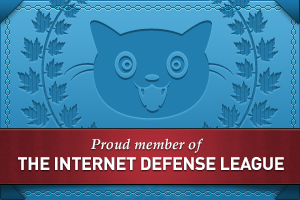 That means it’s probably less fly-by-night than the company behind the ill-fated TEB. Does that mean the ART stands a better chance? Let’s hope so. The first line is currently under construction in the city of Zhuzhou and is expected to become operational sometime in 2018.